Apply the trade management to maximum profit and minimize loss. First target is 0.7080. 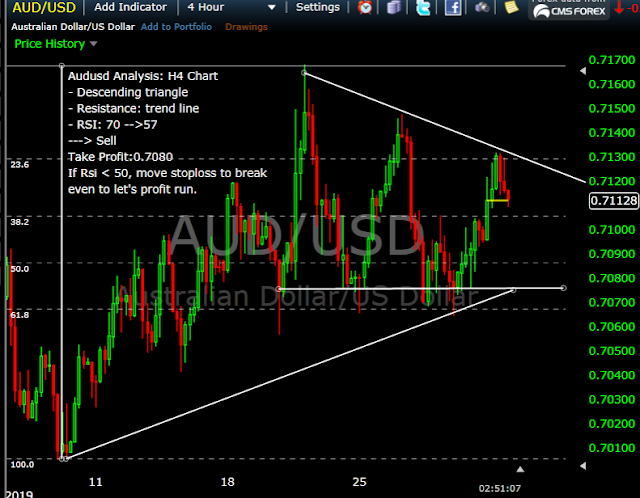 If the descending triangle breaks down, second target is 0.7000. A stop loss with 30 pips from entry price is good. - Also be careful with RBA Interest Rate Decision, and Rate Statement to night. 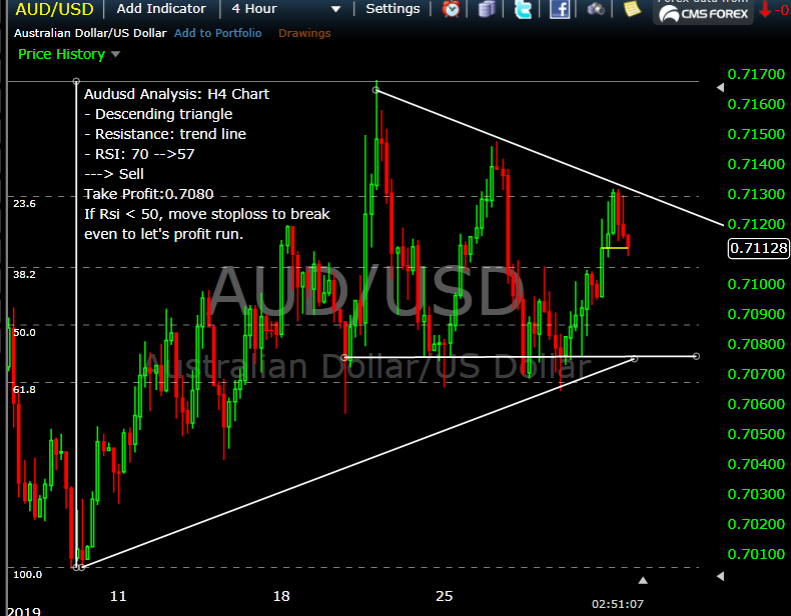 - I may close it or move stop loss to break even before the events two hours.